As part of our work to foster greater civic dialogue and encourage greater voter turnout, Arts for LA presents these Arts & Culture Candidate Surveys to promote dialogue around issues facing our community. Survey responses provided by each candidate are for voter information purposes only. Arts for LA does not endorse candidates seeking office. We are committed to fostering respectful, nonpartisan dialogue about issues relating to arts and culture. For more information, please read about our mission and values or our FAQ. All eligible candidates were contacted to participate in the survey. If you would like to submit new or revise existing responses, please contact Arts for LA at advocate@artsforla.org or 213-225-7580. Arts for LA thanks Inglewood Cultural Arts for their partnership in collecting and distributing these survey results. The Actors Fund, KCET Artbound, California Alliance for Arts Education, LA2050, LA STAGE Alliance, Latino Arts Network, Otis College of Art and Design, and the Social & Public Art Resource Center (SPARC) served as Regional Partners by promoting Arts & Culture Candidate Surveys throughout Los Angeles County. 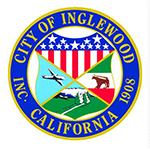 Voting for Inglewood City Council will be held on Tuesday, November 4. 1 seat is available in this election. Elections are at large; voters may vote for any of the eligible candidates in this election. For more information on where to vote, visit the Los Angeles County Clerk/Registrar-Recorder’s Office website. Question 1: What was the most meaningful arts and cultural experience you had growing up? This candidate has not yet responded. Attending a symphony concert and opera as a high school student. Art will help young person to appreciate history and discover their talent. I support art and it should be stressed in all schools. Question 2: What do you believe the role of City Council should be in the development and support of the region's cultural infrastructure? Civic work for zoning for artist bohemian district. Question 3: How would you champion modifications to, or expansion of, the city's current funding stream for local arts and culture? Chamber of commerce and private business. Question 4: What three things would you do to deepen the city's investment in its creative economy (cultural tourism, indirect and direct jobs, nonprofit and for profit)? IUSD involvement, 501(c)3 to promote art, solicit grants, sponsor art contests, use park and recreation promotion funds.